Thank you Zeuss for Fridays! Ever notice that there is some sort of special magic in the air on Fridays? Even though Friday is not all ways the bluebird of happy news ushering in a wonderful two-day carefree (yah, right!) vacation from the work week, to some it is the harbinger of fun-death..Yet even so, the energy is definitely different about town on a Friday. 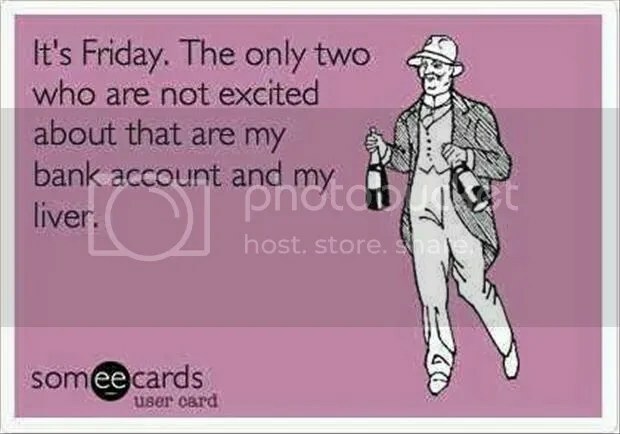 If it is a payday Friday? Holy frenetic energy, Batman! Love, love, love Fridays! All of the promise of the weekend without the taint of disappointment that Monday is lurking right around the corner. With that being said, Happy Friday y’all! Enjoy your weekend, they are more precious than gold and totally irreplaceable so don’t waste a minute!